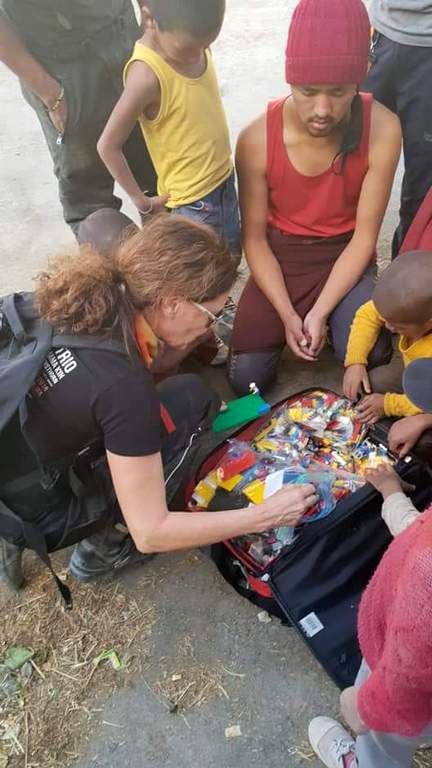 From our very first adventure, our riders have always wanted to make a difference in the lives of the kids we came across. 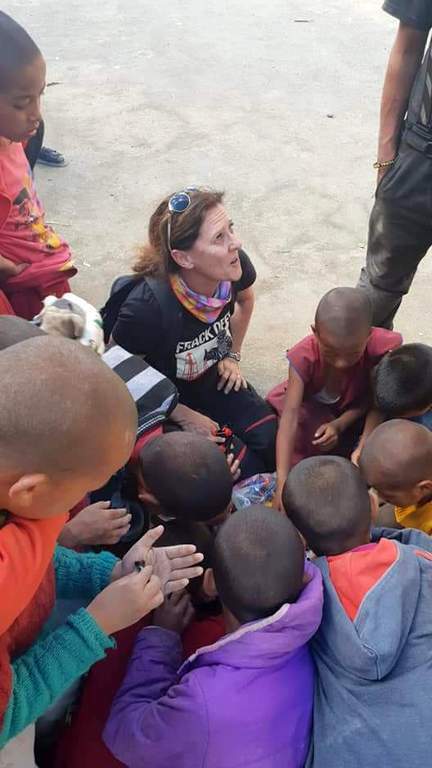 We’ve donated sporting equipment to local children in desolate areas where the only toys are a stick and a coat hanger. 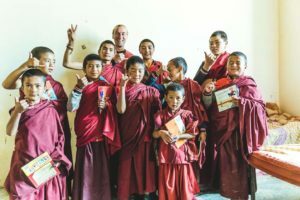 It has now become a tradition to hand out cricket bats, tennis balls, clothing and educational equipment to schools and monasteries on every trip and in every country we go to. 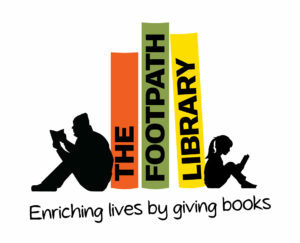 If you have ideas on how you would like to help, please get in contact with us. Electronics such as headphones, working old phones. 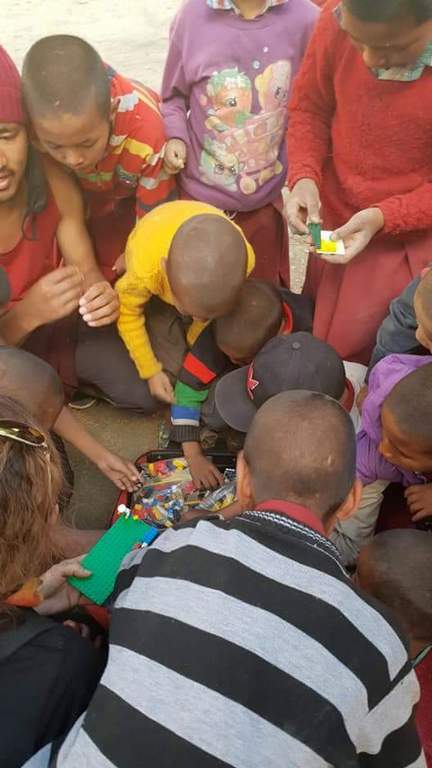 In 2018, Lynley put the call out for unwanted Lego amongst her network and managed to bring 10kgs of the stuff and gave it to the kids at Key Monastery in the Spiti Valley. It was emotional moment for everyone. 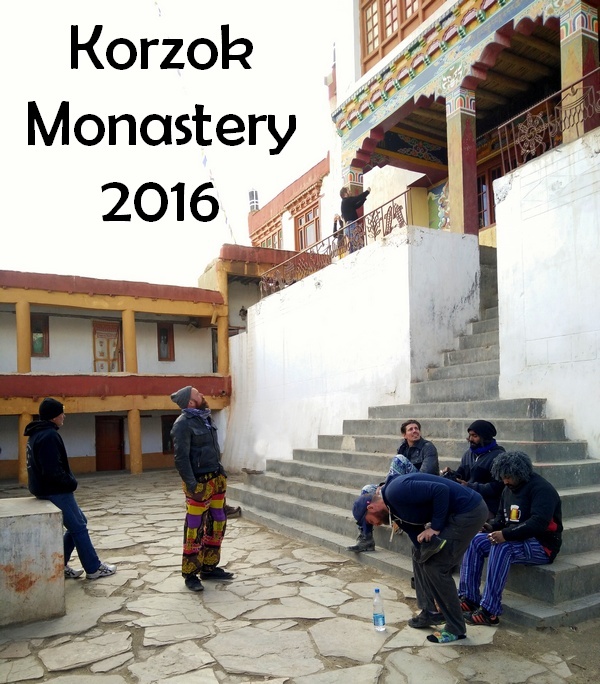 The Distinguished Gentleman’s Riders of 2016 donated a years’ worth of school equipment to the Korzok Monastery school. We had to take our shoes off as leather isn’t allowed inside a monastery. 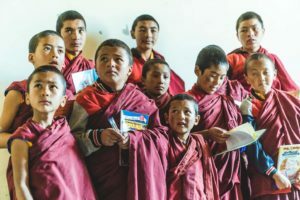 We found a single monk who was in the middle of his meditations who accepted our donation. 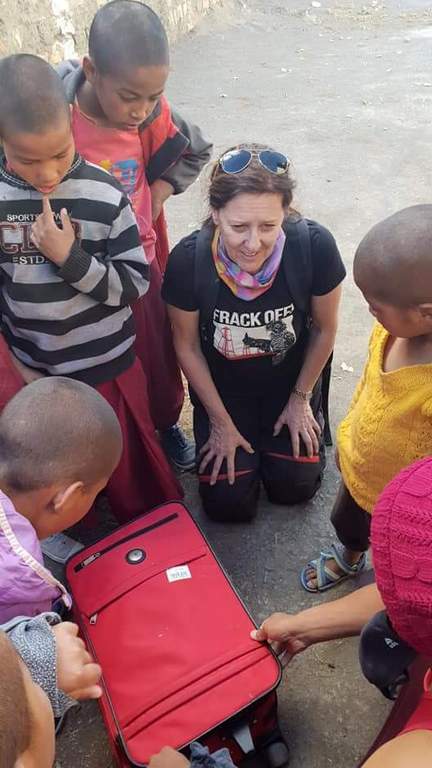 It was school holidays so we couldn’t donate directly to the school that was next door. 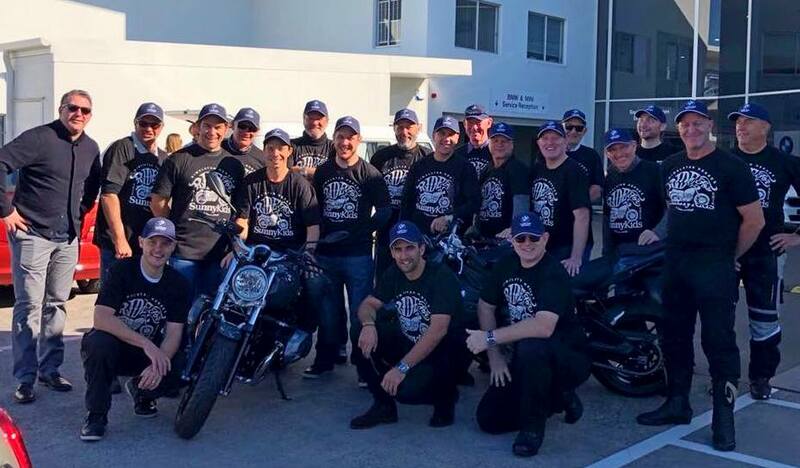 On Saturday the 2nd of June 2018, Himalayan Heroes sponsored the inaugural SunnyKids Charity Ride held in Noosa, QLD. 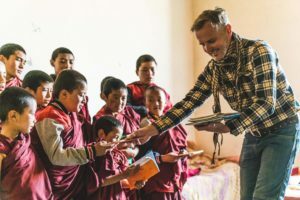 We donated a Himalayan adventure to the charity auction and the proceeds from the day was in excess of $14,000. These are funds that will go towards helping children and families in need. 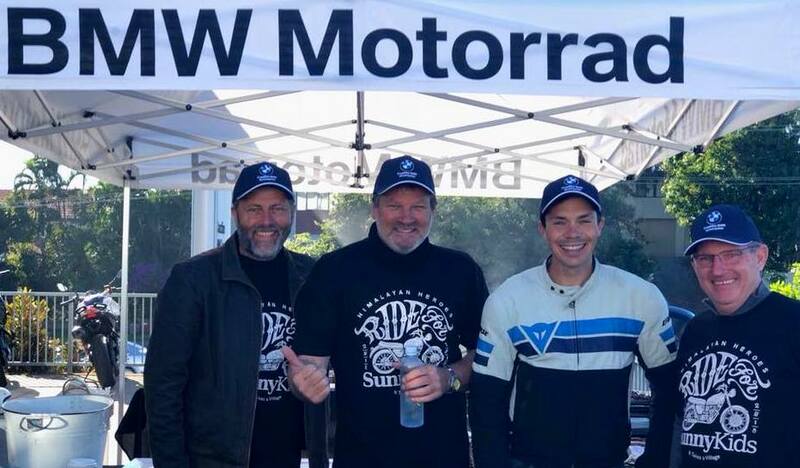 We were honoured that MotoGP star, Chris Vermeulen supported the Himalayan Heroes charity ride. 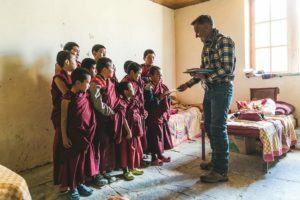 In 2017, we hooked up with The Footpath Library in Australia to help distribute books to the children at Lamayuru Monastery school. 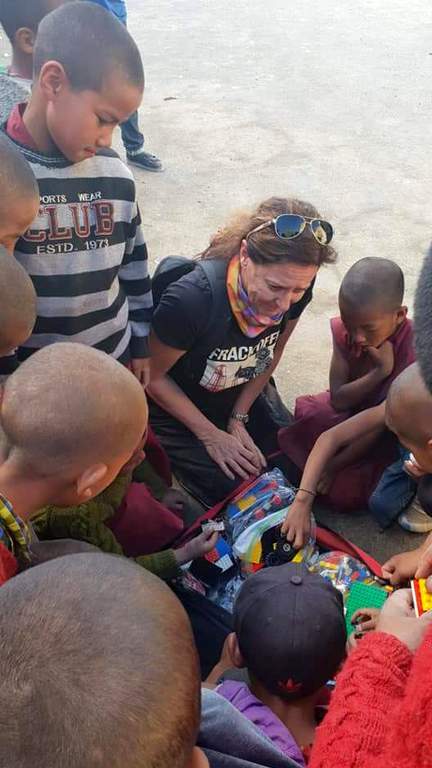 You can see the kids genuine excitement to receive such mind expanding gifts. Himalayan Heroes also supports the Movember Foundation, indirectly with our involvement with the Distinguished Gentleman’s Ride and directly through their website. 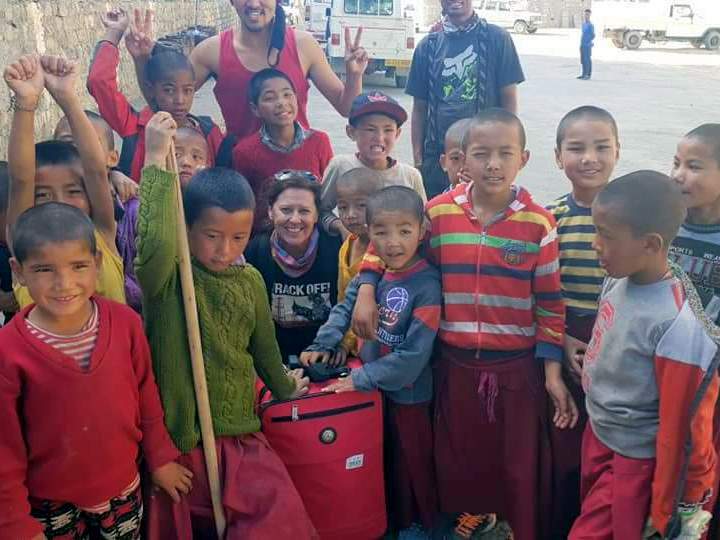 If you’d like to sponsor the Himalayan Heroes team then please click the mo below.